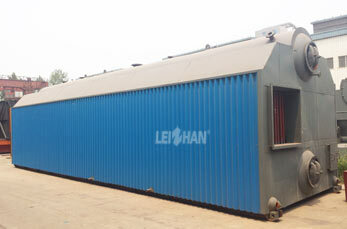 In order to meet customer needs, in line with high efficiency, energy saving, environmental protection and safety requirements, Leizhan boiler adopt the most advanced technology at home and abroad (that is, pressure boiler technology standards) from design, material selection, process, manufacture, inspection and standard. Leizhan reliable boiler applies to three-pass wet-back type internal combustion, under the center furnace structure. Leizhan reliable overcomes the disadvantages of low efficiency, inadequate burning of traditional hot water boiler center furnace structure . The boiler equipped with imported famous brand combustion machine and boiler heat exchange system, ensures the safe operation and environmental protection and energy saving of the boiler machine. Leizhan boiler has strong adaptability to various fuels and can use heavy oil, light oil, natural gas, city gas as fuel material. Application of ” The light HIT ” heat transfer and flow resistance, adoption of efficient heat transfer threaded pipe design and optimization of smoke speed make the output of the boiler in the thermal efficiency not decreased with the extension of running time, so as to achieve a compact structure and has 10% overload capacity. Adopt the most advanced heat energy-saving control technology and achieve “on-demand heating, energy saving heating” goals.